SevOne Founder and Stem Cell Institute patient, Michael Phelan discusses what’s financially at stake for scientists, universities, drug companies, and the FDA who oppose autologous stem cell therapy and lobby for patients’ own stem cells to be regulated as drugs. “I chose the Stem Cell Institute because they published their research in Translational Medicine. In addition, I corresponded with physicians and researchers experienced in Autologous Stem Cell treatments, including Roger Nocera, author of Healing Cells – Cells that heal us from cradle to grave, and I also listened to Arnold Caplan of Case Western. So, at a Johns Hopkins managed hospital in Panama I had a mini-liposuction procedure. From my adipose-fat tissue they separated and expanded my cells, which took about a week then they gave to me in an IV. Texas high school Hall of Fame football coach Sam Harrell talks about his progress after undergoing several stem cell treatments for secondary progressive multiple sclerosis at the Stem Cell Institute in Panama City, Panama. Sam is speaking from the clinic in Panama while undergoing his fourth 5-day course of combination human umbilical cord-derived mesenchymal stem cells and fat-derived stromal vascular fraction cells. Isolation of stem cells from adipose tissue(ADSC) and mononuclear cells from bone marrow. 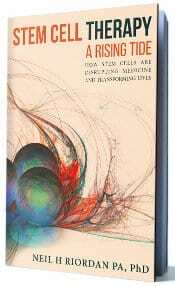 Expansion and harvest of mesenchymal stem cells from umbilical cord, adipose tissue and its derivatives. In part 6, Prof. Caplan discusses Trophic properties of mesenchymal stem cells; MSCs for heart disease; MSCs homing to heart injury site and also to skin incision site; MSCs limit left ventricular thinning following infarction; Trophic properties of MSCs: anti-apoptotic, anti-fibrotic, anti-scarring, angiogenic, mitotic; phase 1 data for allogeneic MSCs show fewer arrhythmias, prompt heart rate recovery, and improved lung function; autologous adipose tissue-derived stromal vascular fraction for treatment of chronic heart disease; Active mesenchymal stem cell clinical trials around the world; Induction therapy with autologous MSCs in kidney transplants; MSCs can coax neural stem cells to become oligodendrocytes, curing mice with MS using allogeneic human MSCs. In part 3, Professor Caplan discusses the science behind mesenchymal stem cells: sources of mesenchymal stem cells (MSCs), because all MSCs are pericytes one can find them in any tissue that has blood vessels, pericytes express markers of MSCs, frequency of pericytes in human tissue, most abundant source of pericytes is adipose (fat) tissue, adipose-derived stem cells, how MSCs are separated from fat, chemistries MSCs from different tissues are not the same, MSCs function at sites of injury, mesenchymal stem cell homing in mice, MSCs don’t make fat, they don’t make muscle. They come back as pericytes, and not all pericytes are MSCs. King Goff received three applications of his own adipose tissue-derived stem cells over the course of 3 days for a knee injury and autoimmune issues at the Stem Cell Institute in Panama. In this video, Mr. Goff discusses conventional treatments he received before stem cells, pre-treatment symptoms, post-treatment improvements, the doctors and staff, and the clinic. I grew up no stranger to Multiple Sclerosis as my father was diagnosed in 1970 at the age of 30 – I was in the 5th grade. I watched my father deteriorate through the years progressing from walking with a cane, spring assist in his shoes to lift the toe, to hand crutches, his inability to control his bladder and bowels, to being permanently bound to a wheel chair by 1979. Building all sorts of ramps, elevators and installing van lifts so that he could be able to get around by himself. He is still alive and wearing out electric wheel chairs to this day. I had a few problems with my eyes in 1981, which they tested me for MS knowing my father’s history, but everything at that time came up negative (no MRIs used at that time). I then had a problems with my eyes & speech (blurry & slurring – which dissipated that day) in the summer of 2003, which the doctors preliminary diagnosis was a mild stroke, but then the test began. The outcome came on November 10th, 2003 from my neurologists – you have MS. This just about devastated me having watched the progression (walking to not walking, loss of bowel & bladder control, and loss of mobility & arms, etc.). Well, they started me on Betaseron, and then the fun began. The first nine (9) months on Betaseron was a roller-coaster of emotions, periods of not having any concentration, and not being able to remember how to do little things that I’ve done for twenty some-odd years. Thank “GOD” for my loving wife (Kim) for getting me through this time..
After making it through the first nine months, things settled, but the MS progressed. Legs burning, legs jerking, walking becoming difficult, hands trembling, lots of floaters in my eyes and twitching. Continued my appointments with my neurologists and as things progressed, more meds prescribed. In April of 2009, they conducted more test including an Evoke Potential (hooked me up to electrodes and actually got me to levitate off of a table when the zapped me) and more MRIs, etc. These test resulted in a diagnosis of Myasthenia Gravis in conjunction with the MS. More meds prescribed. In the fall of 2011, walking was very difficult, writing was a joke (if someone other than myself was reading it), having lots of bladder and bowel issues (everything seemed to be leaking) and if I had to travel with my job, I had be chauffeured, as I couldn’t make the trips by myself. Hot weather made me wilt like a cut flower out of water. With all of this going on with my body, the neurologists ordered up another batch of test and then concluded that Betaseron had out lived its effectiveness and I was changed to Copaxon. After a month of Copaxon, I was having whelps and redness appear at the injections site, which I called the folks at Copaxon and my neurologists and explained what was happening. Both told me it just took a little while for my body to adjust and they would go away. Another month passed and I was doing the injections in my thigh, when the swelling and inflammation became so bad I couldn’t hardly put on my jeans and could hardly walk, so I marched down to my neurologists and sat in her office until she could see me. She took one look at the sites and said that I was allergic to Copaxon, and changed the meds to Avonex – oh joy. I had to undergo 21 days of steroid treatment prior to beginning Avonex. It’s now February of 2012 and things are not getting any noticeably better, or slowing down, and I’m getting fed up and not looking forward to what I have seen with my father.. I keep taking the meds and start investigating my options. A friend had mention to my wife about stem cell therapy that they had heard about down in Costa Rica. We researched it and found it in Panama, started checking it out and we liked what we read.. I submitted the initial applications in late March and received approval in April (just 7 days later). Just so happened that The Stem Cell Institute – Panama was having a seminar that month in Gilbert, AZ, so we signed up and flew to Phoenix (we wanted a little more comfort factor). We were very impressed & actually was able to talk with the doctors (Neil Riordan and Dr. Paz Rodriguez) and go over everything (also met one person that had been through the treatment that had a spinal cord injury, one that has MS and both where doing pretty good, as their stories were documented on film and a part of the presentation) . The seminar was very good and we were sold on the fact that we had made the right decision. .
After arriving back home, we submitted for a treatment to get in the queue’ (which we were told would take as long as 5 months to find an opening), and received notification that it would be on May 14th, 2012, so we confirmed the reservations and began preparing for our trip. A week prior to our trip to Panama I had a regularly schedule appointment with my neurologists and at the end of the office visit I informed her of my intentions of going to Panama. I did not receive any negative response, she just want to make sure of the procedure that was going to be conducted and where the stem cells were coming from. She also relayed that she was an investigator for stem cell research for the State of Texas. Flew to Panama from Amarillo. Left Amarillo at 9:30AM & arrived in Panama at 7:30PM (had a little trouble with my legs from Houston to Panama – spasms). We were met by Stem Cell Institute (SCI) representative at the airport & walked though customs, like you have never seen. Escorted through and express line at customs, escorted us to a lounge and then they went to go retrieve our luggage. SCI had transportation set up from the airport to your hotel, via private courier. Picked up at the hotel by SCI and taken to the SCI office & met with 3 doctors and had blood taken (11 vials). All the doctors were great (Dr. Rodriguez, Dr, Hernandez and Dr. Bowen) and explained everything in great detail. Discussed the surgery (mini-liposuction the next morning). The stem cells were harvested from my own body – no umbilical cord cells utilized. SCI driver took us back to the hotel. Picked up by SCI and taken to the hospital @ 8:00AM. A little anxious about the facilities that we were going to, but when we drove up the signage on the building read “Hospital Punta Pacifica, affiliated with John Hopkins Medicine International”.- no more worries. I was met at the door by Dr. Bowen (from Stem Cell), admitted to hospital and surgery @ 10:00am, out of surgery recovery by 12:15pm, given pain pills & antibiotics, Dr. Bowen was in surgery & with me throughout the procedure. The plastic surgeon that performed the procedure was from the States. SCI driver takes us back to the hotel. Took only one pain pill for the entire time. Have to wear a girdle (Velcro & elastic) for twenty-one days. SCI picks us up at 9:30AM for 10:00am appointment for physical therapy. Stretching exercises and a small work out. Driver takes us back to hotel. 5/21 (Monday): SCI picks us up at 9:30AM for 10:00am appointment for physical therapy. Last day of physical therapy. Diver takes us back to hotel. Kim found a casino at the Sheraton Inn & we went for a little while. Took a tour through the Panama Canal Locks & up to the lake. We met a couple of others folks at the motel that evening that were down from the States to have the treatment. One gentleman had come down for his second set of treatments and was expounding as to how great his progress had been, and was hoping that with this set that he could be able to walk without a cane. His first set of treatments was about eight months prior. Ok, now I’m getting very anxious. SCI picks us up at 9:30AM for 10:00am appointment to receive 1st infusion of stem cells. Received 20cc which took about 15 minutes, once I got back to the examination room. . Driver took me back to the hotel – back before 10:30AM. After lunch, Kim asked if I was feeling any effect from the first treatment and I barked back that it takes months for the effects to take place (sorry that I made that comment). Kim had inquired and found another casino, so we took a trip to the Wyndum Casino. After about 2 hours (at about 8:00PM) I noticed that I wasn’t limping, or staggering, dragging my foot, or any of that other good stuff – I went to find Kim. Found Kim & asked her what she thought about my walking and she was really surprised. SCI picks us up at 10:15AM for 10:30am appointment to receive 2nd infusion of stem cells. Told the Dr. (Randy Bowen) about my walking and he was very surprised. I also relayed that the floaties that I have had in my eyes are diminishing, the tingling in my hands is diminishing & my feet don’t feel like they are on fire, bladder control is doing better. Driver took me back to the hotel. Had lunch and then started just messing around and found that I could balance on one leg (either leg) with my hands in my pockets (been quite a while since I was able to balance like that, even without my hands in my pockets) Went to the casino for a little while. SCI picks us up at 9:30AM for 10:00am appointment to receive 3rd infusion of stem cells from the Dr. (Hernandez) & he said that he had heard from Dr. Bowen about my results, so I showed him the balance act which he was very impressed with. Both He & Dr. Bowen stated that I was fortunate to have results so quickly, but should continue receiving more results up to at least 6 months. They asked that I keep them apprised of any and all progress. Received pack of documentation covering everything that was done by SCI (complete blood analysis & certification of 6.6*E7 >75% viable stem cells). They also apprised me that they have retained 50% of the stem cells harvested for utilization at a future date – which is only a one week trip. Dr. Hernandez said that I could start decreasing my medications gradually. (Driver took me back to the hotel. Off we go to the Wynndum Casino for a couple of hours. Walking is getting better. Tired today, slept until 11:45AM, then went to grab lunch, laid back down at 1:30PM and slept until 4:30PM. Went and grabbed a few beers at the hotels bar. I haven’t been able to walk, or see like this in 6 years. SCI Driver pick us up at 7:00AM and assisted through the line at the airport. Arrived back in Amarillo at 8:00PM. Had a little trouble with my legs (Spasms) from Houston to Amarillo, but nothing like it had been for the past 5 years. Went to the shop & office – didn’t do much. Had supper with our daughters and they couldn’t believe how I was walking. My wife insisted that I show them the balancing act. Girdle & levis, don’t go together very well. The facilities and doctors are really great. Very professional, very clean, very informative and they help you with anything that you need. With the results that I was seeing in the first week, I stopped taking a lot of my meds. On June 16th we took a trip and drove to Ft. Smith, AR (444 miles) to attend a barbeque cook for my friends. Amazingly I had no spasms or leg jerks on the trip over or back, and I tolerated the heat exceedingly well. The only meds that I was still taking at this juncture was Zanaflex and Effexor. In mid-July I was sleeping like a rock and awakening maybe just once an evening. No more one hour sleeps and then run to the bathroom – no more leg jerks – no more spasms. I had also traveled to one my friends ranch and was out in +97° weather and had no problems. The first part of August, Kim had purchased a guided fly fishing float trip in Oregon. Ok, now I’m a little skeptical, but here I go. We fished for five days out of boats, floating down the rivers with fly rods. You had to stand up in the boats that were moving with the currents and going through rough water. Amazingly, I never lost my balance. Life is good. Completely off of ALL meds. After arriving back from Oregon, I had a scheduled appointment with my neurologist. I informed her that I was totally off all of my meds, which she raised an eyebrow upon, then she ran me through the paces for balance, strength, eyes, and walking. She seemed impressed but didn’t say a whole lot, but what she said I really loved. I was discharged from all follow-ups and associated test until such time as I felt that I needed to see her. The Stem Cell Institute still calls periodically (and sends questionnaires) to check on my conditions and inquire if I need anything additional, which is great. I have very few doctors, or clinics, that have ever called to check on me. At the writing of this, I am one month from my one year anniversary of the treatment and I cannot express what a change in life it has been. I’m no longer in pain. I’m not irritable. I’m happy. I can walk. I don’t have to worry where the restrooms are located. I can jog (if I wanted too). I can work outside in the summer. My family and friends are astonished with my progress. It is like you rolled the life clock back twenty years. I strongly recommend this procedure and The Stem Cell Institute. They and their staff treat you like a king and you become part of their family. It is life changing Thank “GOD” for the pioneers in medicine. Anyone reading this that would like to discuss my progress, or any of the above, may feel free to contact me at (Number available upon request to all approved applicants). Arminda Bourin has suffered from rheumatoid arthritis since 2003. She underwent adult stem cell therapy at the Stem Cell Institute in February 2012 because her swollen, painful ankles made it very difficult for her to walk. This interview takes place approximately one year after treatment.